Copyright is a form of intellectual property. It has been defined by Black’s Law Dictionary, 9th Edition as a right granted to the author or originator of certain literary or artistic productions, whereby the creator is invested, for a limited period, with the sole and exclusive privilege of multiplying copies of the literary or artistic works and publishing or selling them. 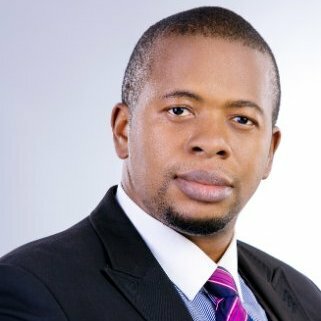 It can be gleaned from the above statutory provision that the moment a literary, musical or artistic work has been fixed in a definitive form and effort has been expended on the work to give it an original character, it qualifies as a work eligible for protection. Originality within this context does not connote inventiveness or novelty. It simply denotes that the work was not copied or plagiarised. It is therefore pertinent to note that copyright does not protect ideas and copyright is acquired by expending skills on a work and not by invention. Unlike other forms of intellectual property like patents, designs and trademarks, a work that is eligible for copyright does not need to be registered in order for it to enjoy legal protection. An eligible work enjoys protection as soon as it is created and fixed in a definite medium. However, the Nigerian Copyright Commission (NCC) provides owners of copyrights the option to deposit a copy of their works with the NCC and receive a certificate which serves as notification of the existence of the work to the general public. Section 34 (2 (3) of the Copyright Act states that the NCC is also required to maintain an effective data bank on authors and their works. Copyright in literary, musical or artistic works other than photographs lasts until seventy (70) years following the death of the author. In cases where the work is owned by a government or a body corporate, the copyright in the literary, musical or artistic work will expire seventy (70) years after the work was first published. Copyright in films and photographs lasts 50 years after the year the work was first published. Copyright in sound recordings also lasts 50 years after the recording was first published. 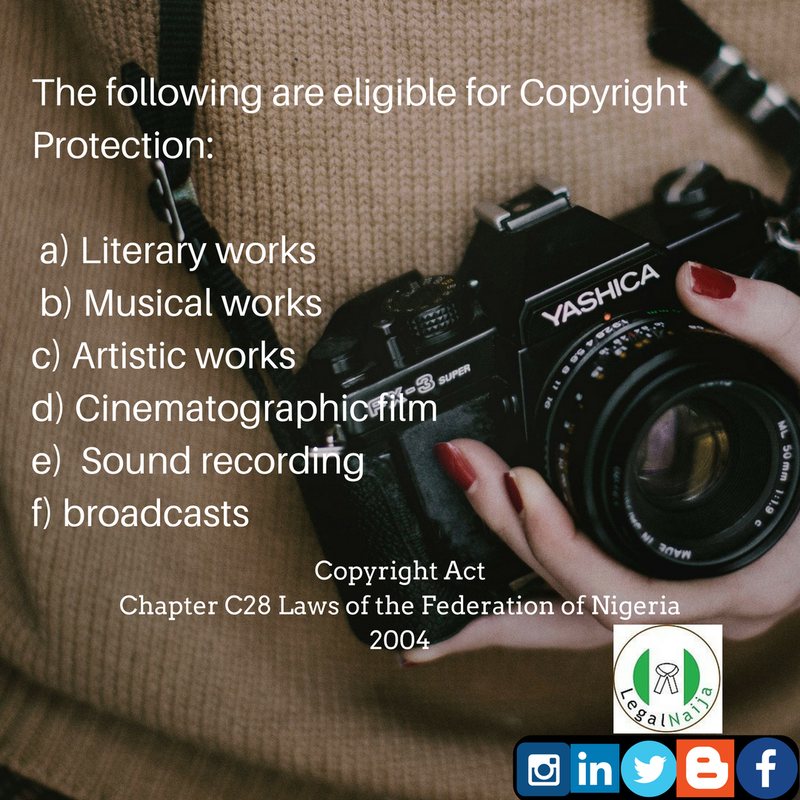 Under part 2 of these series, we will examine in depth the nature of works that are eligible for protection, how a work can be protected and the remedies available to the owner of a work when his copyright is being infringed.